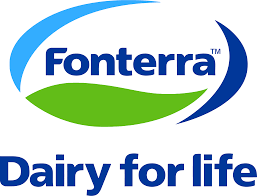 Fonterra Chief Operating Officer, Global Consumer & Foodservice, Lukas Paravicini, says “we are excited about Brett joining the team. He has an extensive 30-year career in FMCG and we are pleased he is coming on board. “Brett has a strong commercial and strategic focus as well as end-to-end experience across the supply chain, including manufacturing and operations. He is also recognised for the emphasis he places on people – a culture of mentoring, development, teamwork and open communication is important to him,” says Mr. Paravicini. Brett has previously held brand positions with Unilever, and a number of senior marketing roles with Colgate-Palmolive worldwide. This included Regional General Management roles in Australasia and in Asia, where he was responsible for eleven countries. He was appointed Chief Marketing Officer for The Griffin’s Food Company in 2015, and became Managing Director in 2016.